The proposed Magalloway area was first depicted on the 2006-2007 Saddleback trail map and has undergone many changes since. Built around the proposed Saddleback/Magalloway Village and nearby home and cottage lots, the area is expected to include at least half a dozen new trails. 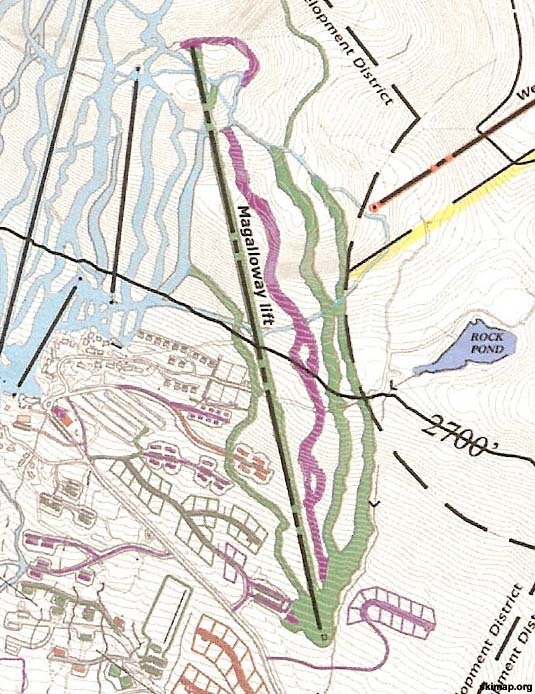 The 2006-2007 map showed one 6,258 foot chairlift terminating above the current Cupsuptic T-Bar. 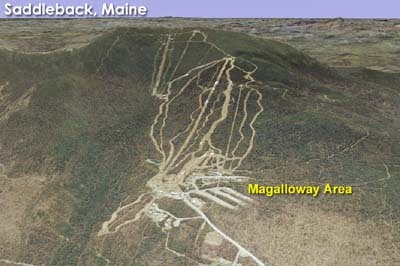 The 2007-2008 map showed a 3,500 foot chairlift terminating about halfway up that area. 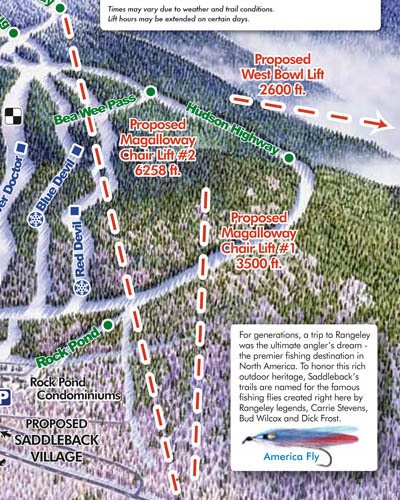 By 2008-2009, the map displayed both lifts (the 3,500' lift called Magalloway Chair #1 and the 6,258' called Magalloway Chair #2). In the spring of 2008, the area announced plans to open trails and a lift in the Magalloway area in 2009-2010. While some clearing was done, the project was postponed. The 2009-2010 trail map no longer showed either of the proposed lifts. A February 2009 development map showed only the shorter lift still being part of the plans. A proposed 5,400 foot lift reappeared on 2010-11, 2011-12, and 2012-13 maps, but was not displayed on the 2013-14 trail map. 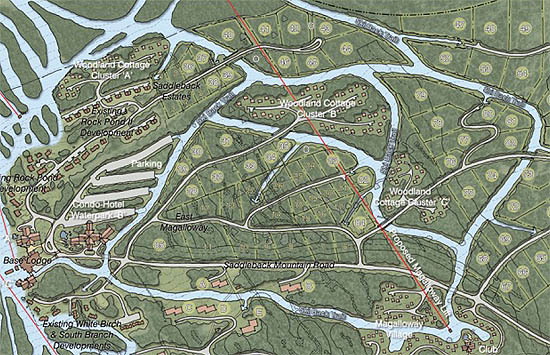 In the summer of 2014, Saddleback announced plans to cut a large, nearly 70 acre glade in the upper portion of the Magalloway complex. It is not known if this is a first step toward eventually cutting trails, or if it is replacing the Magalloway plans. It is not known if or when the Magalloway complex will be constructed.